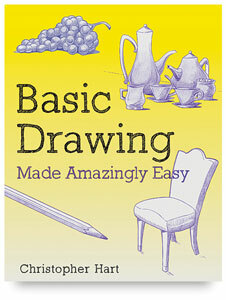 Drawing is a fun and satisfying way to express your creativity, but learning to draw can be intimidating. Naturally, a beginning artist needs a solid foundation in artistic principles, and in Basic Drawing Made Amazingly Easy these principles are clearly explained and illustrated. Here is a complete drawing book for the beginning artist that gives you all the tools you need to build a solid foundation in art. Based on a series of lessons that begins with the five basic shapes (circle, oval, square, cylinder, and rectangle) combined with the five basic components of drawing (line, mass, perspective, light, and shading), the book progresses from the simplest forms to more complex inanimate objects and organic animate subjects. Finally, you are shown how to draw the human body as a graceful and expressive figure, perhaps the most fulfilling accomplishment for the beginning artist. Before reading this book, you may have shied away from, or perhaps never even considered, drawing certain subjects. 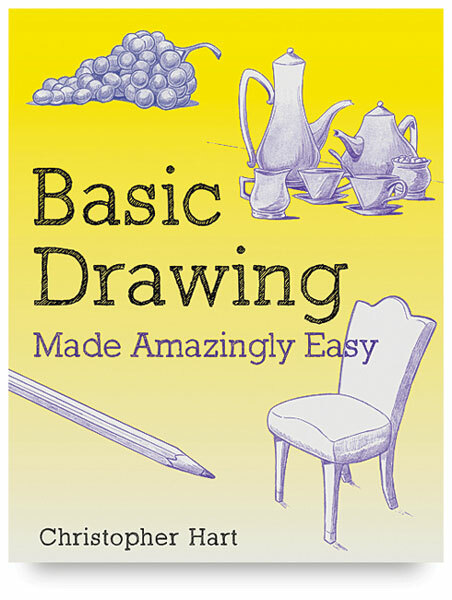 As you go through Basic Drawing Made Amazingly Easy , you're sure to discover something wonderful — that in addition to improving technically, you're also becoming more creative. Good technique gives you the freedom to draw whatever is in your imagination, and with the help of this book, that's exactly what you can unleash. Paperback. 160 pages. 8½" × 11" (22 cm × 28 cm).